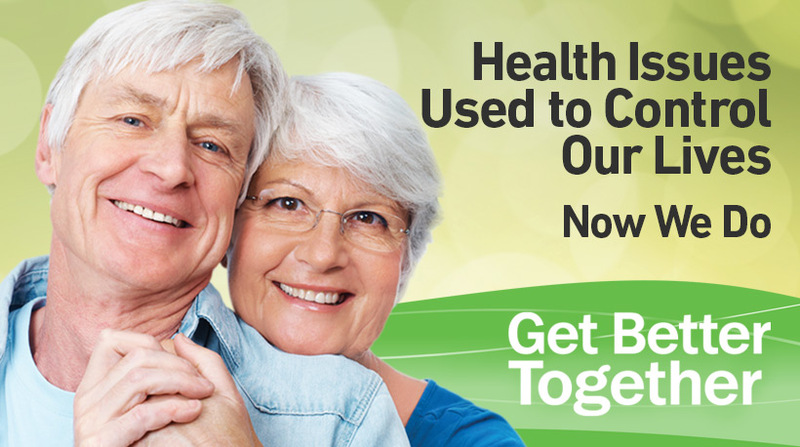 Take control of your health with a workshop designed to help Manitobans with ongoing health conditions. Led by others living with health issues who understand the challenges of managing symptoms, medications and health care needs. Build your confidence to manage better through group support and discussion of topics such as healthy eating, physical activity, communication and pain management. Feel free to bring a friend, family member or other support to the sessions. Get Better Together is based on a program model developed by the Patient Education Research Center and Stanford University. People who participated in the Stanford program reported fewer days spent in hospital, more healthy behaviours and overall better health status, with changes lasting well beyond the end of the program. See the section below to contact Health Regions outside of the Winnipeg area about current workshops available. If you have clients or patients you wish to refer to Get Better Together in person workshops, please use the referral form below. If you are a health partner running workshops in your region, tools and downloads are available when you log-in with the link below. The Wellness Institute works with health regions across Manitoba to offer workshops in communities outside of Winnipeg. Upcoming dates are listed below. Contact your regional coordinator to register or for more information on these workshops. 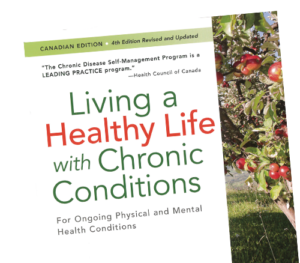 The book Living a Healthy Life with Chronic Conditions will be used as a guide and may be included with your workshop. For more on programs or training in the South or Brandon Regions call toll free 1-877-509-7852 or contact Roslyn Cullen, Regional Coordinator at 204-523-3246, or rcullen@pmh-mb.ca. For more on programs or training in the North region, contact Deb Wilson, Regional Coordinator, 204-937-6277 or dwilson@pmh-mb.ca. For information on training or programs in The Pas or Flin Flon area contact Christa McIntyre, Regional Coordinator, 204-681-3145 or cmcintyre2@nrha.ca. For more information on programs or training contact Cheryl Pearson, Regional Coordinator, at 204-823-2762 or cpearson@southernhealth.ca. For more information on programs or training contact 1-877-979-WELL (9355) or email wellness@ierha.ca. For more on programs or training in the former Churchill Regional Health Authority, contact Jason Nault, 204-675-8881 or jnault@wrha-ch.ca. For more on training in the Winnipeg area, contact 204-632-3922.